Label printers are indispensable helpers in many companies and homes because they make it so easy to mark and identify things with labels. From binders, folders and cardboard boxes to DVDs, clothes and bags. Brother International is one of the leading suppliers of label solutions and it is therefore hardly a surprise that Brother is the creator of this year’s great novelty within thermal-based label printers. As the first manufacturer in the world, Brother can now present thermal-based label printers for the office and home segment that print in two colours. Not only in black as all the others, but in red*, too. This provides unprecedented flexibility and creative possibilities for users of the two new Brother label printers in the QL-800 family. 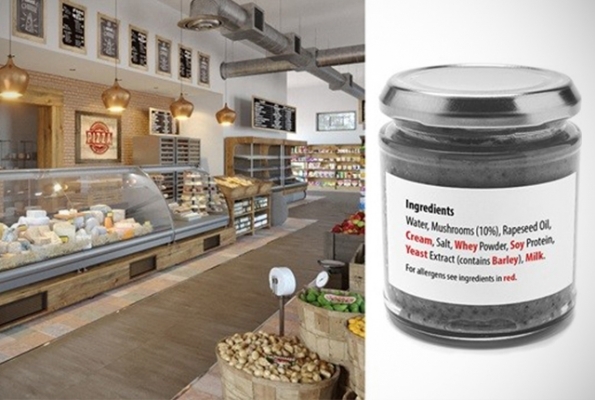 Labels with red print can be used for a variety of applications including warnings, special identification of persons on name tags, highlighting important messages and emphasising discounted retail offers. The new Ql-800 direct thermal series use a new type of heat-sensitive thermal paper. Advanced electronics and software ensure that the print head can print in both black and red*, without the use of ink or toner. The models appear in a stylish and modern design with a glossy surface. Thus, the printers can easily be placed on a desk together with laptops and other contemporary equipment. Brother QL-800 offers USB connectivity, an integrated cutter and software for designing your own labels and prints at 148 mm per second or approximately 93 labels per minute. 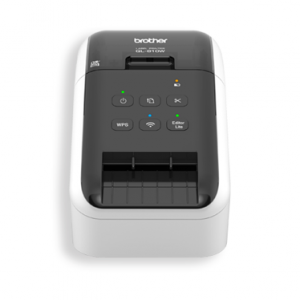 The QL-810W provides Wi-Fi connectivity and AirPrint capabilities and the speed is increased to 176 mm per second or approximately 110 labels per minute. “Building on the success of our existing QL series of label printers, we’re very excited to announce the QL-800 range”, said Dale de Villiers, marketing manager at Brother South Africa. “With the introduction of the two-colour thermal print option, once again Brother sets itself apart from the competition for industry firsts. We believe that this feature will be a game changer in the industry and will allow businesses to really utilise the product to their advantage”. The new Brother QL-800 models are very easy to use – the QL-810W model also works with an optional Li-ion battery, convenient when printing labels in big warehouses, in shops or in large offices. When it comes to the unique black and/or red printing feature, there are limitless applications both professionally and domestically. In the office, identifying confidential documents, highlighting important papers and designing clear warning signs in red on doors, office machines, cabinets, etc., has become much easier. In companies and at conferences, the two-coloured labels can be a great advantage on name tags. For example, the red print could indicate that one has access to special areas, etc. And in warehouses, for instance, the black and red labels can mark packages and boxes to be handled with special care. 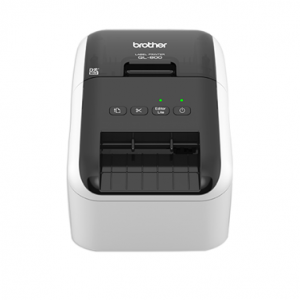 Brother™ iPrint&Label is a FREE app download for printing labels from your compatible Apple® or Android™ mobile device to a compatible Brother Label Printer connected to a wireless network. It’s convenient and easy to use. Download the app and it will automatically search for supported devices on your local wireless network. 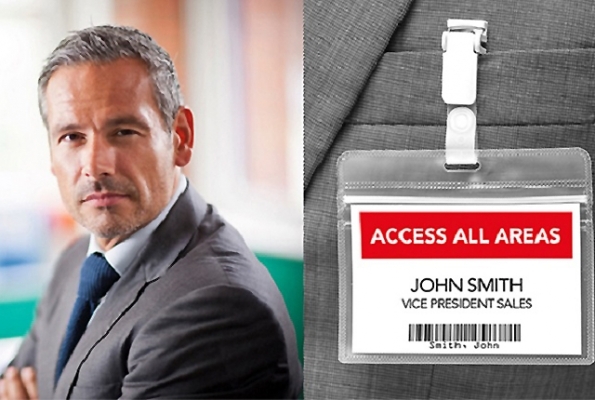 Use iPrint&Label to create custom labels with graphics or photos, print labels from contact lists or create name badges with photos from your album or a photo you have just taken. Enjoy the convenience of automatic label formatting based on the size of the label loaded into the printer. iPrint&Label is compatible with wireless enabled label printers in the Brother product range. All prices are inclusive of the prevailing taxes and include a 3-year carry-in warranty. These labelling machines can be purchased through Brother International South Africa’s authorised resellers and selected retail outlets. Brother is a leader in the development and manufacturing of technologies in the printing, communication and digital imaging industries for homes, SOHOs and corporates who demand solutions that empower businesses and individuals to communicate ideas in every possible way. A trusted brand worldwide that believes in the “Customer First” approach in all aspect of their business, Brother has continuously met the varied needs of their customers through their comprehensive range of quality printing solutions. Brother’s printing business is committed to the advancement of technologies and “work style innovation” and constantly strives to pioneer new technologies and improve product quality. The different types of technology Brother offers are convenient to use and helps streamline workflow and efficiency in corporate, SME and home environments. For more information about Brother, visit http://www.brother.co.za.